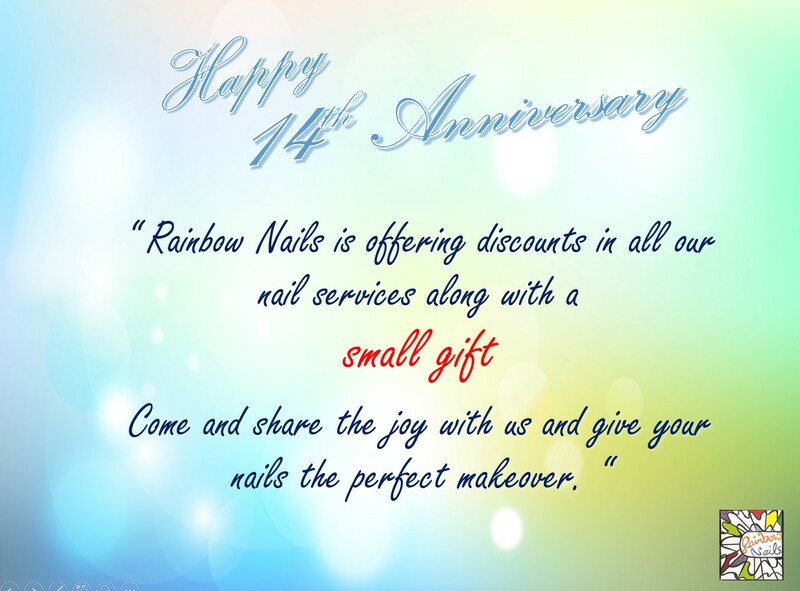 [14th Anniversary] Discounts in all our Nail Services! We are celebrating our 14 years of nail beauty service during our Anniversary month in October. Starting from 1st to 31st of October, Rainbow Nails is offering discounts in all our nail services along with a small customer appreciation gift. Come and share the joy with us and give your nails the perfect makeover.